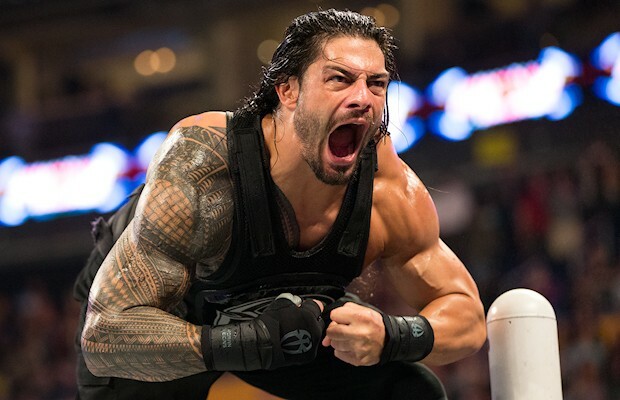 A former collegiate football standout, Leati Joseph “Joe” Anoa’i broke out in WWE in 2012 as a terrorizing member of The Shield with Dean Ambrose and Seth Rollins as Roman Reigns. Unlike most WWE Superstars, Roman Reigns is not particular active on social media. He has a Twitter account, but very rarely posts messages. Is he on Facebook or Instagram? Who Is Roman Reigns’ Wife? – With Roman Reigns‘ rapidly escalating notoriety due to his WWE fame, this has led many grappling fans to search for personal information on the 30-year-old former football player, such as whether or not he has a girlfriend. The former Shield powerhouse is actually married to his college sweetheart, Galina Joelle Becker. The couple have been together since the two attended college at Georgia Tech. Together, they have a daughter, who was born in 2008. Her name is Joelle Anoa’i and she is seven-years-old. So just who is Galina Joelle Becker? Now 28-years-old, she was born on March 11, 1987 in Jacksonville, Florida to parents Kevin and Mildred Becker. Becker has two older sisters, Molisa Cooper and Undine Becker. Undine attended Stanford University (2001-05), where she ran track. Reigns and Becker first met when they attended Georgia Tech, where Reigns was a standout defensive end for the Yellow Jackets. However, the WWE Superstar is not the only athlete of the twosome. Becker actually excelled in track and field in high school and college. Growing up in San Jose, California, Becker attended Mt. Pleasant High School (2001-05), where she lettered in track and field for three seasons under coach Steve Nelson. During her sophomore and junior seasons, she won region titles in the long and triple jump events. She was the Most Valuable Performer of her team in her freshman, sophomore and junior seasons. She holds Central Coast Section record in the triple jump with a mark of 40’5″. For one season, Becker lettered in volleyball. The event in question occurred in the Pensacola, Florida area on June 20, 2010, just a few weeks before the former member of the Georgia Tech Yellow Jackets football team had signed a contract with WWE to join the organization’s then-developmental branch, Florida Championship Wrestling. Reigns, who was 25-years-old then, was arrested for disorderly intoxication and affray, unlawful assembly, or riot, according to a public record. In other words, the future WWE Superstar was jailed for appearing drunk in public and participating in a fight. He was later released on $1,000 bond, with charges of $500 for each offence. 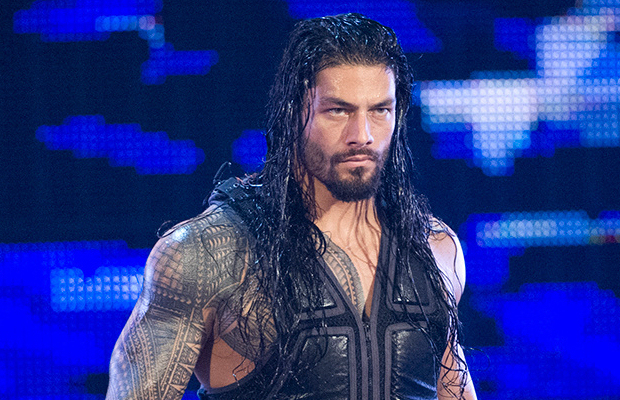 Word of his infraction did not become public knowledge until 2014 when his mugshot was uploaded to MugShots.com, with the image being labeled as WWE Superstar Roman Reigns. It is not known whether WWE officials were ever informed of his arrest. Roman Reigns’ Wrestling Attire – Just who is Roman Reigns? WWE fans still don’t have a clear picture, and insofar as having his gear give us a hint, that’s not happening. When he was in The Shield, he was one-third of a rogue collective of individuals who dressed in SWAT gear because they were hell-bent on using “covert”-style operations to prevent those engaging in unjust behavior. Now, The Shield is a distant memory and while Seth Rollins’ grappling attire continues to reflect some aspects of his gear in The Shield, it’s more a latex homage to his CrossFit based athleticism. Of course, Dean Ambrose simply wears tank tops, boots and jeans, the closest thing WWE has had to “Stone Cold” Steve Austin as a Superstar and presentation since “The Texas Rattlesnake” was raising hell in the sports-entertainment organization. So, given that Roman Reigns has yet to explain why he continues to wear the SWAT gear, it’s worth mentioning that he does have a history of wrestling without a shirt on. While competing in WWE’s developmental system under the name Leakee (in Florida Championship Wrestling from 2010 to 2012 and briefly in NXT in the latter year), Roman Reigns actually performed in traditional wrestling attire. Will this ever happen again? Perhaps if and when WWE feels the need to revitalize his character, likely as a villain. Where Does Roman Reigns Live? – As you might assume, being a professional wrestler comes with some good and some bad (just like any other celebrity). A grueling schedule year round is part of the bad that most grapplers have to endure throughout their years in the industry. Furthermore, the amount of travel these individuals go through over the course of a given year certainly wares on them after a while, and living out of a suitcase surely doesn’t make anything easier. Although, after all the strain comes the perks. The rewarding part for many WWE Superstars is getting the opportunity to head home for a couple of days, and for most of these performers, home is a beautiful place where luxury and relaxation are essential. Numerous wrestlers call Tampa, Florida home and Roman Reigns is among them. Having grown up in nearby Pensacola, the WWE Superstar currently resides in the sunny city with his wife and daughter. What Is Roman Reigns’ Real Name? – Sure, some WWE Superstars use stage names instead of their actual names, but Roman Reigns‘ real name just might make you do a double-take! His real name is Leati Joseph “Joe” Anoa’i (last name pronounced an-uh-WHY-ee). The WWE competitor is named after his father, Leati Anoaʻi, a former professional wrestler who competed under the name Sika. Roman Reigns Sings To His Daughter – Roman Reigns is built like a barbarian, has some marvelous maneuvers and, of course, his cousin is Dwayne “The Rock” Johnson. But what most people don’t know about this WWE Superstar is that he’s also a father (and a pretty darn good one at that). Standing at 6’3″ and weighing in at 265 pounds, the last thing members of the WWE Universe would expect to see is “Big Nasty” singing “I’m a Little Teapot” to his daughter. But he does exactly that, and it’s quite adorable. 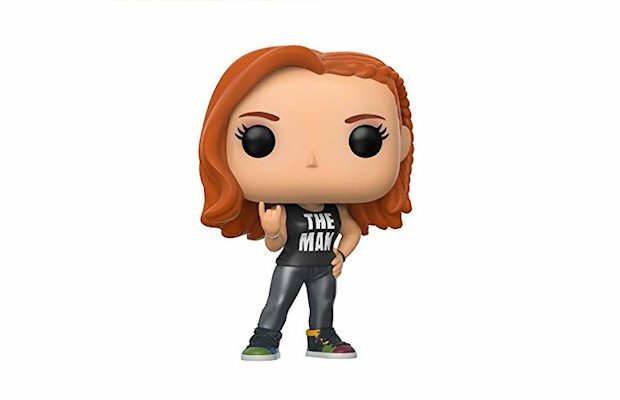 This is a side to the WWE Superstar fans probably thought they’d never see. But if you liked him before, you’ll like him more now. Roman Reigns On Social Media – Unlike many of WWE’s Superstars, Roman Reigns is not particular active on social media. He has an account on Twitter at wweromanreigns, but very rarely posts messages. Reigns does not have personal accounts on Facebook or Instagram. All accounts posing as the WWE Superstar are fake. How Old Is Roman Reigns? – To many wrestling fans, the age of Roman Reigns is unclear. The WWE Superstar is 30-years-old — he was born on May 25, 1985 in Pensacola, Florida. At six-foot three inches and a rock-solid 265 pounds, Roman Reigns boasts the physical stature, along with the looks to which WWE officials are instinctively drawn in both male and female performers. He is the son of WWE Hall of Famer Sika of The Wild Samoans and is a member of the legendary Anoa’i wrestling family — this incredible lineage includes intimidating grapplers such as High Chief Peter Maivia, Dwayne “The Rock” Johnson, Yokozuna, Rocky Johnson, the Usos, Umaga, Rikishi, Rosey, Manu and Tonga Kid. Before lacing up his first pair of wrestling boots, Leati Joseph Anoa’i had his sights set on becoming a football player in the NFL. He played football for three years at Pensacola Catholic High School in Pensacola, Florida (1999-2001) and his senior year at Escambia High School in Escambia County, Florida (2002). En route to being named Defensive Player of the Year by the Pensacola News Journal in his senior year, he netted 120 tackles and 12 sacks while forcing six fumbles. After graduating from high school, Anoa’i attended the Georgia Institute of Technology, where he played defensive tackle for the Georgia Tech Yellow Jackets from 2003 to 2006. Anoa’i improved in college, moving from backup to starter in his sophomore year. By his senior year, where he became a team captain, he had blossomed into a effective force up front for a powerful Yellow Jackets defense. In that final campaign, he recorded 40 tackles (nine for a loss), 4.5 sacks and two recovered fumbles. Anoa’i’s contributions that year earned him first-team all-ACC (Atlantic Coast Conference) honors. Unlike his teammate Calvin Johnson, who was drafted second overall in the 2007 NFL Draft by the Detroit Lions, he was no surefire prospect. A scouting report from NFLDraftScout.com described Anoa’i as a leader and a player with athleticism. It pointed out a number of his flaws as well. In the minds of scouts, Anoa’i was not strong enough, not enough of a force on the line and not fast enough to respond to the chaos of the National Football League. Still, the then-303-pound defensive lineman was projected in the report to be drafted in the sixth round of the 2007 NFL Draft. After not being invited to the annual NFL Scounting Combine, Anoa’i had only the Georgia Tech Pro Day to impress scouts. He posted a 4.91 in the 40-yard dash, a strong number for a defensive tackle. Anoa’i showed off a 34-inch vertical jump, bench pressed 370 pounds and finished the three-cone drill in 7.29 seconds. Those numbers weren’t enough. Seven rounds went by without his name being called. Going undrafted isn’t always the end of an NFL dream. Teams pick up undrafted free agents, and sometimes those players turn out to have successful careers in the NFL. Anoa’i was signed by the Minnesota Vikings in May 2007, but he wasn’t a proverbial diamond in the rough. Anoa’i was one of the many unknown players vying for a spot on the Vikings roster before the start of the NFL season. Though Anoa’i only made it as far as rookie camp, in his mind, he almost made the Vikings. Anoa’i was released by the Vikings on May 30, 2007. He waited three months before another NFL team gave him a chance. As brief as his stint with the Vikings was, his run with the Jacksonville Jaguars was even shorter. The Jags signed him to their roster on August 26, 2007, as a defensive tackle, but cut him five days later. But before Anoa’i would move on to face the giants who occupy WWE, he took one last stab at a career in professional football. In 2008, he joined the Edmonton Eskimos of the Canadian Football League (CFL). Success came in spurts for Anoa’i as he moved up and down between the main roster and the practice squad. He played in only five games, starting three, and had nine tackles before being released on November 10, 2008. His football career over, Anoa’i began training for professional wrestling. He lost weight (as a defensive tackle, he weighed as much as 325 pounds) and began tightening his physique. WWE, which had been aware of Anoa’i for years, didn’t require any arm-twisting to sign him to a developmental contract in July 2010. On September 9, 2010, Anoa’i made his debut in Florida Championship Wrestling, the then-developmental promotion of WWE, under the name Roman Leakee – he lost to Richie Steamboat. Additional losses to Wes Brisco and the future Damien Sandow (then known as Idol Stevens) ensued, before he gained his first victory on September 21, 2010 over Fahd Rakman. Leakee continued wrestling in Florida Championship Wrestling throughout the remainder of 2010 as he largely competed in tag team affairs. On the January 16, 2011 edition of FCW Wrestling, Leakee participated in a 30-Man Grand Royal to earn a shot at the FCW Florida Heavyweight Championship held by Mason Ryan – he was eliminated. Later that year, Leakee aligned himself with Donny Marlow and the duo unsuccessfully challenged Big E Langston and Calvin Raines for the Florida Tag Team Championship on July 8. On the February 5, 2012 episode of FCW Wrestling, the three men who would become The Shield collided in a Triple Threat Match to name the number one contender to the then-FCW Florida Heavyweight Champion Leo Kruger (now known as Adam Rose). Leakee, as Anoa’i was simply known, defeated Dean Ambrose and Seth Rollins. The physiques of all three have changed considerably since this match was held. Leakee lost the following week to Kruger. On June 15, 2012 at a Florida Championship Wrestling live event in Palatka, Florida, Leakee and Mike Dalton captured the FCW Florida Tag Team Championship from Corey Graves and Jake Carter. The reign, however, was short-lived as the duo lost the championship the following month to CJ Parker and Jason Jordan. In September 2012, Anoa’i was renamed Roman Reigns and hyped as a wrestler with the “it factor.” That was an exaggeration. He looked the part before he crushed CJ Parker in his WWE NXT debut on October 31, 2012, but was mediocre in the ring and flat on promos. He did not seem ready for the main stage, even after two years in WWE’s developmental system. From his physical appearance, however, it was obvious he would receive a chance at WWE glory: equipped with “the look,” Reigns was a safer bet for stardom than Ambrose or Rollins. In a surprising turn of events, Reigns officially debuted for WWE alongside Ambrose and Rollins on November 18, 2012 during the closing moments of the main event at Survivor Series. Running in, wearing matching black outfits, the heel trio powerbombed Ryback through the announcers’ table after the former Skip Sheffield had Shell Shocked John Cena in the ring. The third man in this Triple Threat Match with Ryback and Cena was WWE Champion CM Punk, who pinned Cena amid the chaos to retain the gold. On Colt Cabana’s Art of Wrestling podcast, CM Punk claimed to have devised the concept of The Shield, proposing to WWE officials that the group be made up of former independent wrestling stand-outs Dean Ambrose, Seth Rollins and Kassius Ohno. WWE quickly replaced the latter—better known as Chris Hero—with Reigns, but the promotion clearly chose its man wisely. Not only did Ambrose, Rollins and Reigns have each others’ backs, but they were each an education for the other, even before they debuted at the Survivor Series. This benefited the less experienced Reigns in particular; Rollins may have been a relative newcomer to WWE, having arrived in developmental at the same time as Reigns, but he had nine years of lower league grind behind him, and in beating Austin Aries to become ROH World Champion on February 13, 2010, obviously had serious skills to offer. Ambrose was no slouch, either; trained by six-decade veteran Les Thatcher, he competed in ultraviolent matches for Combat Zone Wrestling (CZW), and dabbled with Gabe Sapolsky’s Dragon Gate USA. Between the two, they offered experience of the harsher realities of the professional wrestling industry that would serve as a fine influence on their jock partner. As a unit, they meshed immediately. Their victory over Ryback and Team Hell No (Kane and Daniel Bryan) in a Tables, Ladders, and Chairs Match at the following month’s TLC: Tables, Ladders & Chairs pay-per-view event – their debut match as a unit – was incredible. The weaknesses visible in Reigns’ singles outings on WWE NXT were concealed by the salvo of movement and props: it was the adroit Ambrose and Rolins who kept things moving, and steered Reigns. When the gang communicated with the public, it was the articulate Ambrose who did most of the talking. As one of three, Reigns always had a safety talk. To his credit, though, he took direction well and never embarrassed himself. In the start/stop era, these three were a welcome exception. Green never turned red: WWE was dedicated to their push. As a three-man squad, the scored victories over star teams at Elimination Chamber on February 17, 2013 (John Cena, Ryback and Sheamus) and WrestleMania 29 (Big Show, Randy Orton and Sheamus). On the April 26, 2013 episode of SmackDown taped in London, England, they destroyed The Undertaker and blasted him through a table with their now-familiar three-man powerbomb. “The Deadman” didn’t appear at another WWE event all year, something for which The Shield members were periodically given credit by the announcers. At Extreme Rules on May 19, 2013, Reigns and Rollins defeated Kane and Bryan to capture the WWE Tag Team Championship. Even after The Shield lost a blinding Six-Man Tag Team Match to Orton, Kane and Bryan on the June 14, 2013 episode of SmackDown – their first official defeat by pinfall or submission as a triumvirate – they were reheated at WWE Payback two days later when Ambrose beat Kane by count out, and Rollins and Reigns defeated Bryan and Orton when Rollins pinned Bryan. Reigns and Rollins were also supplied with an excuse when they dropped the WWE Tag Team Championship to Cody Rhodes and Goldust on October 14, 2013; Big Show interfered just prior to the finish. For newcomers, and heel youngsters at that, the presentation was in stark contrast to every other fresh act in WWE this decade. At Hell in a Cell on October 27, 2013 at the American Airlines Arena in Miami, Florida, Cody Rhodes and Goldust successfully fended off the challenge of Reigns and Rollins and Jimmy and Jey Uso to retain the WWE Tag Team Championship. The brothers emerged victorious from a frenetic match after Rhodes pinned Rollins following a Cross Rhodes. The first seeds of dissension were planted among The Shield when Ambrose said that he was the only member of the group to hold a championship, drawing a cold stare from Reigns. At Survivor Series on November 24, 2013 at the TD Garden in Boston, Massachusetts, The Shield’s main muscle outlasted the competition in a 5-on-5 Traditional Survivor Series Elimination Tag Team Match to become the sole survivor—Reigns pinned Jimmy Uso, Rhodes, Goldust and Rey Mysterio with spears. After losing to CM Punk in a Handicap Match at WWE TLC: Tables, Ladders and Chairs on December 15, 2013, Reigns triumphed over The Straight Edge Superstar in a singles match on the January 6, 2014 episode of Raw—the match featured interference from Ambrose, causing Punk to lose. With the victory, Reigns became the only member of The Shield to have beaten Punk. Following Punk’s departure from WWE, he revealed in an interview with Colt Cabana that he was constantly reminded by organization officials to make Reigns look “really, really strong” in the Handicap Match at TLC: Tables, Ladders and Chairs even though The Shield was scripted to lose. At the Royal Rumble on January 26, 2014 at the Consol Energy Center in Pittsburgh, Pennsylvania, Reigns entered the 30-Man Royal Rumble Match at No. 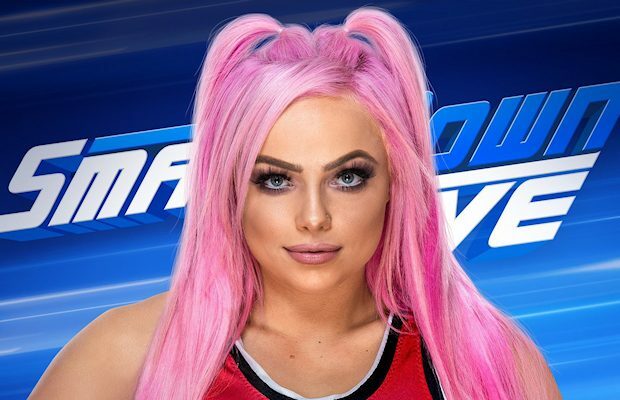 15 and made history by eliminating a record twelve WWE Superstars. He eliminated both of his Shield teammates, and was the runner-up in the contest after being dumped from the ring by Batista. The following night on Raw, Daniel Bryan, John Cena and Sheamus punched their tickets to the Elimination Chamber by defeating The Shield to earn their way into the match. 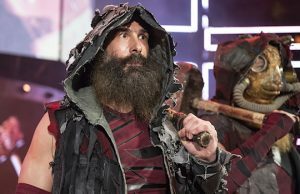 The trio lost the contest via disqualification after all three members of The Wyatt Family interfered and attacked Bryan, Cena and Sheamus. In 2002, WWE promoted Brock Lesnar as “The Next Big Thing,” a title that the Minneapolis native backed up in savage fashion. Debuting on the March 18, 2002 edition of Raw, Lesnar would have his first WWE Championship reigns sewn up within six months, raising the gold at SummerSlam. Initially, fans were unsure of how to respond to him, but killer performances in taking the title from The Rock and then making a bloody mess of The Undertaker at Hell in a Cell more than solidified his standing. Lesnar was quickly a hit, and a genuine star. Entering 2015, Roman Reigns was the “next big thing” in WWE — the chosen one for the next generation. He had returned to action following three months after surgery to repair an incarcerated hernia, at which point WWE planned to put the rocket underneath him to build a WWE World Heavyweight Championship victory over Lesnar at WrestleMania 31. A feud with Big Show, however, proved a sluggish start to this final, giant push, as crowds reacted inconsistently, and occasionally tepidly, to the former Minnesota Viking. Allied with a fear that Daniel Bryan’s return at the Royal Rumble might cause a reaction similar to Batista in 2014, even these best laid plans quickly became subject to change. The company knows what it wants Roman Reigns to be, but will that be enough for the WWE Universe. There’s no question about it — Reigns’ rise to be considered as the next WWE leading man has been nothing short of meteoric. A college athlete, Reigns, whose real name is Leati Joseph “Joe” Anoaʻi, boasts all of the physical attributes that WWE could hope for. Playing as a defensive tackle — typically the role of the largest or most high-impact player on the team — he was an NFL prospect whose forecast was hindered by what the Vikings described as “personal reasons,” preventing him from making a big impression past a later spell in the Canadian Football League (CFL). It would be little over a year before he signed a developmental contract with WWE in July 2010, following an Anoa’i family heritage that includes his father (Sika of The Wild Samoans), his brother (Rosey of 3 Minute Warning) and first cousin (the late Yokozuna). At 6-foot-3 and 280 pounds, Reigns had the sort of stature that Vince McMahon is known to love. Muscular, handsome, and a with flowing locks, he combined many of the characters that McMahon perceives to be heroic, and for the next two years, he developed his fundamentals in the developmental system (initially in Florida Championship Wrestling, which was re-branded as NXT in August 2012). In an interview with Colt Cabana on the Art of Wrestling podcast in November 2014, CM Punk claimed to have devised the concept of The Shield, proposing to WWE brass that the group be made up of former independent wrestling standouts Dean Ambrose, Seth Rollins and Kassius Ohno. WWE quickly replaced the latter — better known as Chris Hero — with Reigns, but the promotion clearly chose its man wisely. Not only did Ambrose, Rollins and Reigns have each others’ backs, but they were each an education for the other, even before they debuted at the 2012 Survivor Series. This benefited the less experiences Reigns in particular; Rollins may have been a relative newcomer to WWE, having arrived in developmental at the same time as Reigns, but he had nine years of lower league grind behind him, and in beating Austin Aries to become Ring of Honor World Champion on February 13, 2010, obviously had serious skills to offer. Ambrose was no slouch, either; trained by six-decade veteran Les Thatcher, he competed in ultraviolent bouts for Combat Zone Wrestling (CZW) and dabbled with Gabe Sapolsky’s Dragon Gate USA. Between the two, they offered experience of the harsher realities of the business that would serve as a fine influence on their jock partner. On air, the trio developed a knack for stealing the show. At Elimination Chamber in 2014, they contested a blistering brawl with The Wyatt Family that arguably should have been reserved for WrestleMania. At Extreme Rules, they followed up with an epic war opposite Evolution members Batista, Randy Orton and Triple H, on a night in which no-one could follow their well-timed high-spots, risky offense and main event storytelling. The triumvirate would combine for the final time on June 1, 2014, again squared off against Evolution, this time in a No Holds Barred Elimination Match in the main event of WWE Payback. The scrap arguably wasn’t of the same standard as their previous contest, but remained a wild, compelling affair, and significantly, much of the match structure and the manner in which certain sequences developed led viewers to believe that a big Triple H versus Roman Reigns singles match was soon to be on the cards. While this situation has still yet to manifest, Reigns did score the concluded pinfall on “The Game,” with the finality of the moment specifically designed to endear him to fans. Although working as the group’s powerhouse — almost always portrayed by the least seasoned of the performers — it would be wrong not to afford Reigns his fair share of the credit for such exhilarating encounters. His exchanges with Triple H at both pay-per-view encounters were dynamite, as were the closing moments of the 2014 Royal Rumble, when the crowd cheered for him when he and Batista were the final two participants. He certainly isn’t as unsteady as the latter during the first year in the big time. A massive singles victory came on August 17, 2014, when he cleanly took down Randy Orton at SummerSlam. While the bout was not a five-star classic, Reigns looked incredibly dynamic in the closing moments, demonstrating how well he could do the simple things. Generally, his power moves are successful in looking devastating, and his Spear and Georges St-Pierre-esque Superman punch are explosive finishers that fans are desperate to witness in person and on television. Specifically, this referred to the 3-on-1 Handicap Match at WWE TLC: Tables, Ladders & Chairs on December 15, 2013. It was a preposterous concept, as Punk looking competitive against a unit that had terrorized trios all year wasn’t believable nor desirable. The fact that he was specifically informed to ensure Reigns’ standing was not harmed, however, spoke volumes about the company’s outlook. Given that Rollins turned heel to split The Shield, it was initially feared that Ambrose would be the one lost in the shuffle. This did not happen, largely thanks to his ability to connect with a crowd; something of a wild man with a sharp tongue and quick wit, he comes across as an unpolished diamond, oozing a dangerous charisma variant. Nonetheless, regardless of this ability and his undeniable effort, it’s clear that Ambrose is not a performer in whome the company has faith as a headline act; he hasn’t won a match on pay-per-view since The Shield dissolved, and his bouts with Seth Rollins at Hell in a Cell and Bray Wyatt at WWE TLC: Tables, Ladders & Chairs were marred by ridiculous special effects finishes. In January, Wyatt and Ambrose were still treading water with a series that doesn’t have any sense of direction or impact whatsoever. Likewise, Dolph Ziggler is over not because the company is enhancing his value with a sustained push or a good storyline, but rather because he connects through his obvious commitment to the cause. Simply, he’s respected by fans because of his athleticism and enthusiasm, and this played out most clearly at Survivor Series, when he was the sole survivor in the Traditional Survivor Series Elimination Tag Team Match between Team Cena and Team Authority. Ziggler looked superb throughout a deeply satisfying 45-minute contest, but he was back to being fodder in a gangrenous Authority angle. WWE’s concern for fan opinion has never been lower, however, and only after the company realized that WrestleMania 30 would be ruined by Daniel Bryan supporters did it changes its mind about putting the WWE World Heavyweight Championship on Batista. If the company fails to realize the folly of pushing Reigns too hard at the wrong time, the results will be as spectacularly bad on January 25, 2015 in Philadelphia, Pennsylvania as they were at the previous Royal Rumble. In comparison to current franchise player John Cena, WWE has something different in Reigns, and would be well advised to stay away from the template used to create Cena. The latter’s initial surge in popularity during the second half of 2003 largely manifested from him unleashing his inner rapper, with a cocky attitude and the street smarts to back it up. So far, it’s been far more difficult to define Reigns. “When I first started wrestling, I got a lot of comparisons to a lot of different people,” said Reigns himself in an interview. “Razor Ramon, The Rock . . . I had a bunch of different qualities and characteristics of former guys. One area in which Reigns fails the Cena comparison is in his promos, which in the build to the Royal Rumble felt particularly forced. Those who know the man well, or have seen him radio studios or non-WWE television appearances, recognize him as a sharp and witty talker who needs few words to make his point, and who last year was confident enough in himself to be filmed singing I’m a Little Teapot with his daughter, for a public service announcement on the importance of being a good father. Perhaps not surprisingly, then, he is clearly less comfortable in delivering long, unnatural promos, which is in stark contrast to Cena, who actually seems to relish such monologues, whether they make sense or not. Still, the last thing WWE wants is for Reigns to be afflicted by the same issues that make Cena both WWE’s top babyface and lead heel. The company, therefore, ought to heed the advice of the leader of the previous era, “Stone Cold” Steve Austin, whose philosophy is that the most believable characters, who connect the strongest, come from within.